Forest of Argentina’s Misiones Province eleven years ago. Guy lives in San Pedro Misiones with folk singer Natalia Coronel and their two children, Samay and Leon. I found this picture (right), while looking through old Queen Mary College (London – my alma mater) expedition archives. Taken in 1986 when I was 22 on my first expedition to Amboró National Park, in search of the Horned Curassow. Very serious bunch! 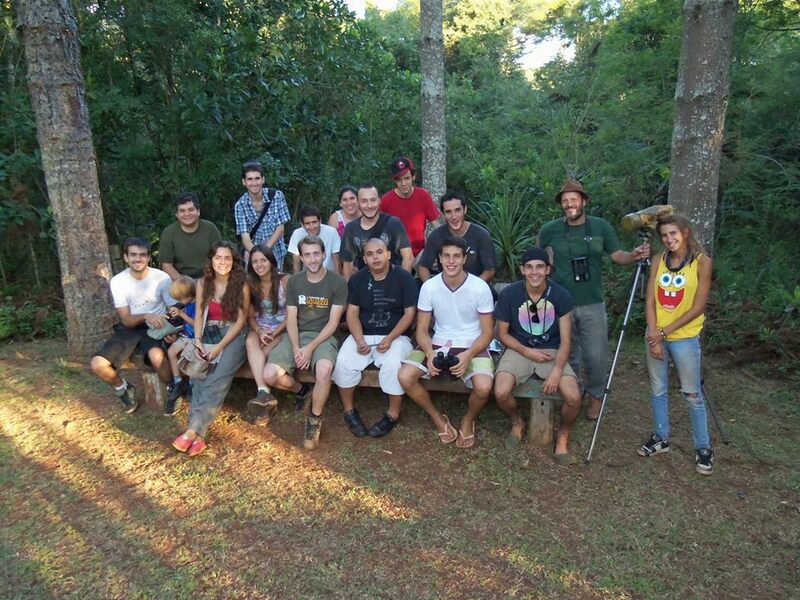 of local San Pedro birding club Tucaí (COA Tucaí) began an intensive training course designed to bring forth a new generation of birding guides. The guiding cooperative “Tucaí Birding Guides” is setting up to showcase the talent of a number of gifted students currently studying at San Pedro’s Park Guard training college and give them an opportunity to work professionally as national and international birding guides.